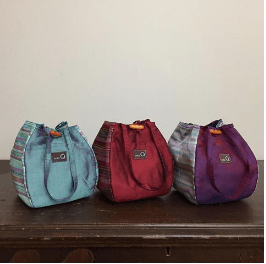 Knitter’s Project Bags – A Dozen Delights! I’ve been a fan of Della’s products for over a decade! The luxurious fabrics create tools that are not only useful but also gorgeous. I have several of the project pouches and a larger tote, but the Rosemary bag’s unique shape is a definite favorite of mine. If Della is a touch of luxury, GoKnit is a workhorse. As you might infer from the name, these bags are great on the go. 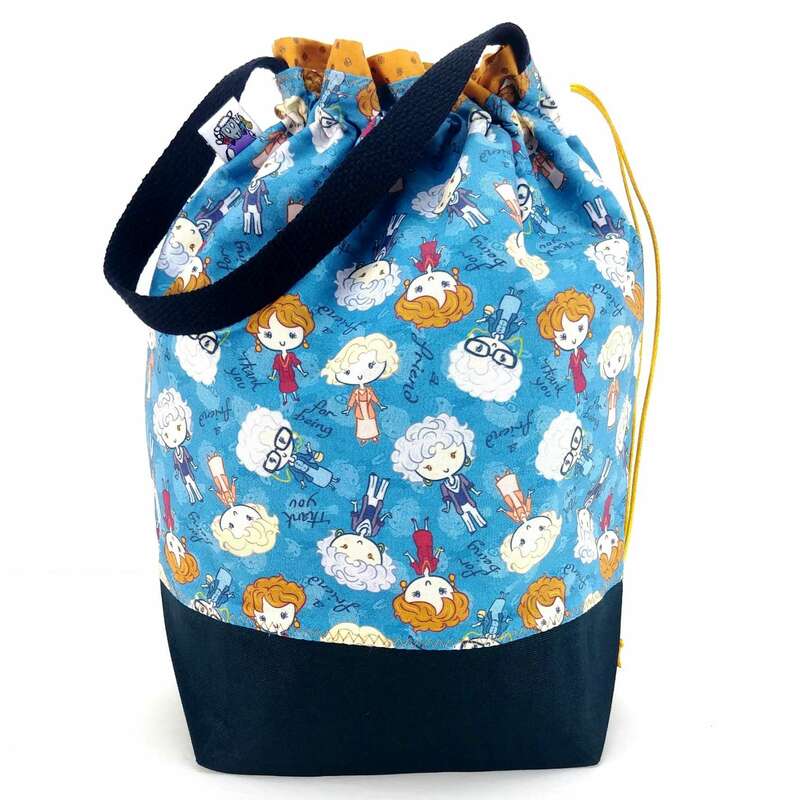 They’re made for traveling, and even have a snap loop that you can attach to your belt and an inner loop and drawstring to feed the yarn from inside the bag while you knit. I have several of these bags, and with all the time I spend on the road, they have served me well! This is one of my fun Etsy finds. This is a shop out of the UK, and they have a TON of fun bags with funny sayings and neat graphics. They’re great options for knitter gifts, and the adorable designs will make up for the shipping costs! Yarn Pop is another long-standing favorite of mine. 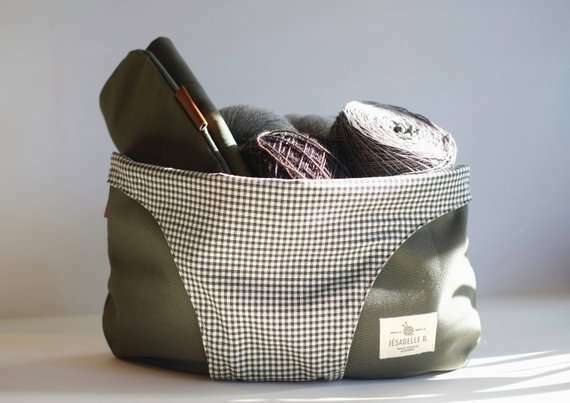 These simple pouches have built-in grommets on the sides so you can feed your yarn out as you work–but the pouches are still roomy enough to stuff your project back into when you’re done. They’re super sturdy, so you can shove them into your purse without fear! This is a great Etsy vendor. I got to see these bags in person at Stitches and they are brilliant. The bags have pockets galore both on the inside and outside, an interior zipper pocket, and two yarn feeding rings. What makes these bags really special is that the rings snap open and closed. No need to be committed to that project staying in the bag until the ball of yarn is used up! Speaking of fun fabrics, Slipped Stitch Studios is the QWEEN!! They always have the best in fun, silly, pop-culture-y fabrics, and there’s something for everyone. Between the fabrics and the great designs of the project bags, the hardest part will be deciding which one to get!! On the other hand, if you’re looking for simple and classic, look no further than JesabelleB. 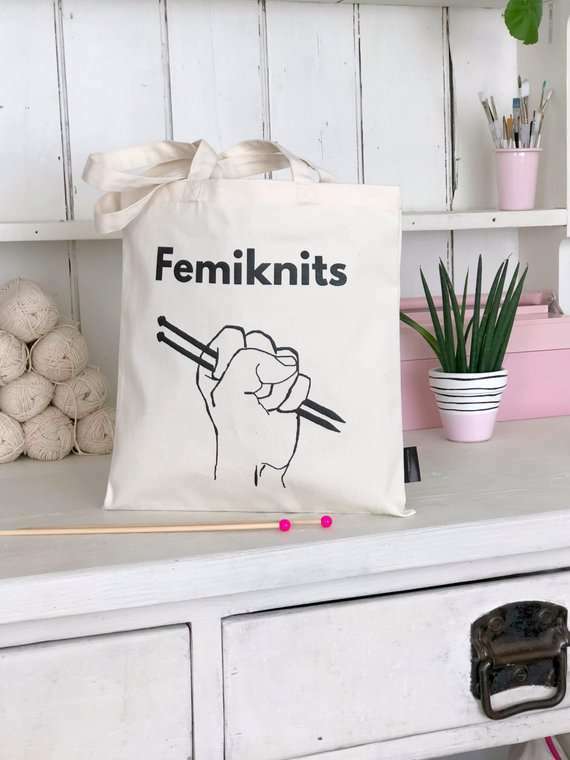 This Canadian Etsy shop has essentially one bag, but it’s designed with a large strap for your forearm for knitting on the go. Then the strap tucks under to turn the bag into a bowl/basket for sitting and knitting. It’s a great design, and a classy look. Speaking of elegant, it doesn’t get classier than Brooklyn Haberdashery. Known for their natural materials and meticulous details, they have quickly become a crafter’s favorite. I fell in love with these pom pom pouches the moment I saw them. (Psst: Yep, they are going to be included in one of the grand prize packages for Harbor Springs KAL). This is another great knitter gift idea. 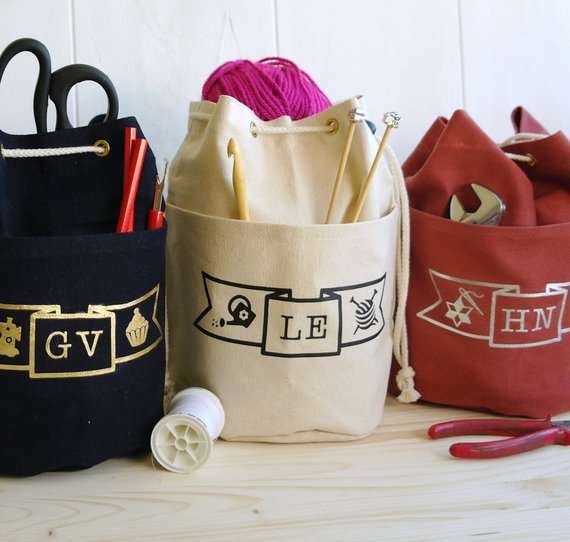 SprogletsKits is an Etsy seller that primarily sells kits for baby items, but they do have a few project bags, including the pictured customizable monogram totes. They’re a great size for a small project, and I love the pockets around the outside for convenient storage. Erin Lane bags are really addictive. I’m not going to lie, I have more than a few. Not only are they reasonably priced, not only are there a gazillion fabrics, but they are magic. Really, magic? Yes. The draw string stays closed, really, always, until you open it. I heart Erin Lane. Finally, this Etsy seller caught my eye with these project kits. 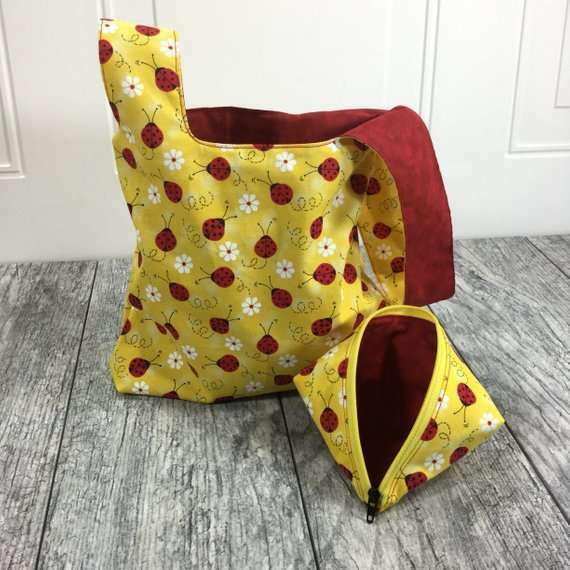 While the pieces are available separately, the kits include a tote and a pouch, which I think would be a perfect project and notions bag combo! And they come in some cute fabrics, another perfect gift idea (even if the giftee is yourself)! I’m always on the lookout for a great project bag. They make great gifts, and without them half of my projects would become tangled messes! Do you have any favorites that didn’t make the list? Don’t hold back. Let me know what I’m missing!! Make sure to set up your project page for Harbor Springs so you don’t miss out on winning one of these bad boys! My current favorite is Binkwaffle dumpling bags. I might have one or more of both the small and large ones! 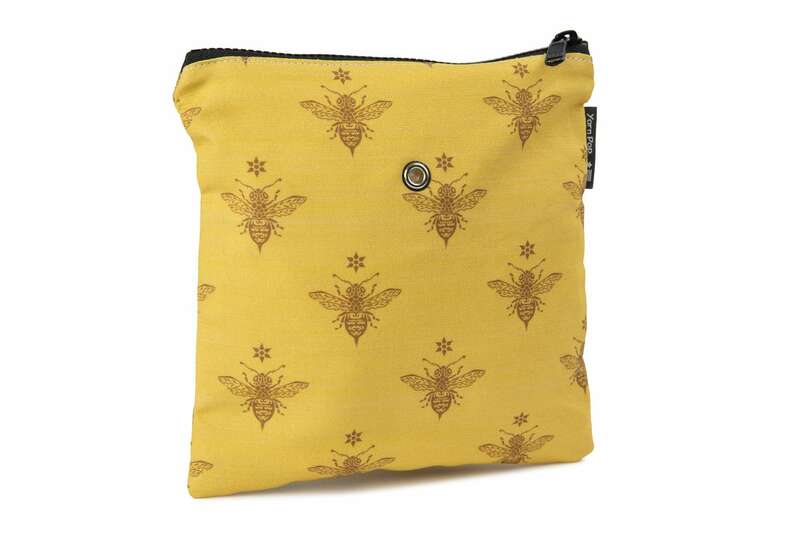 They have cute fabrics, are reversible and have a grommet which makes them very easy to carry over your arm. Oh my gosh I can’t believe I forgot about them! Yes, I have a larger one (grey on one side and orange on the other). I used it as my project bag / purse traveling all over Amsterdam and Prague last summer! 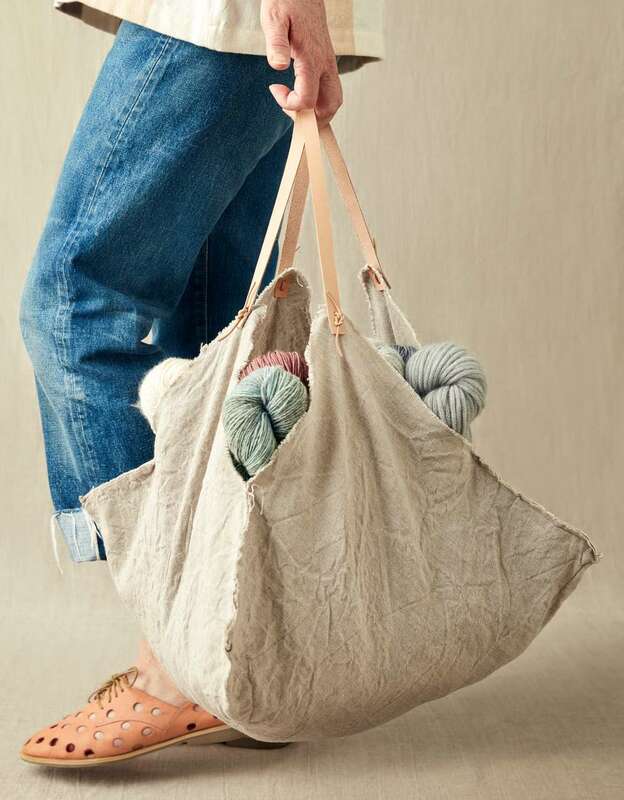 I also have a fondness for a good project bag and found another Etsy seller from the Ukraine that makes several style bags which are beautifully made and quite reasonable. Despite the distance, my orders have arrived within 2 to 3 weeks. Her name is Eva Novacks and the shop is called KnittedDreamsByEva. 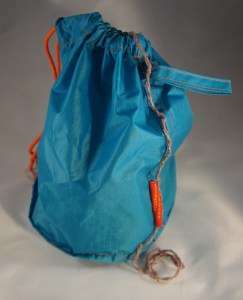 They have many pockets both inside and out and usually will work as baskets as well.